The current contest on Spoonflower is tessellations. 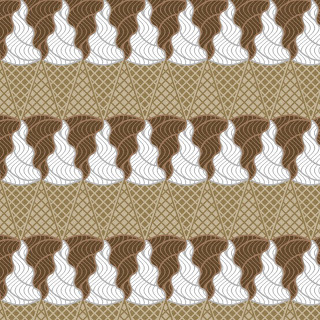 My entry is an ice cream cone tessellation. There are some great tessellations in this contest. If you want to vote and have a Spoonflower account, go here to vote. I decided to draw a version of this to use as a coloring page. I think it would be great in a bunch of colors to represent flavors! I hope you enjoy it.Click on the image for the full sized version.